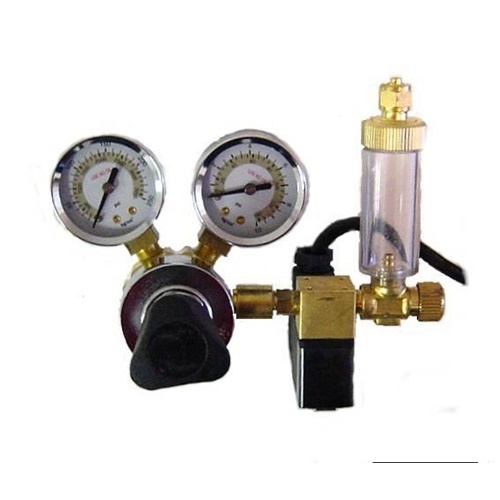 The Milwaukee Instruments MA957 Solenoid Valve, CO2 Regulator with Bubble Counter also includes a needle valve and comes with dual gauge. The left gauge meters tank capacity and the right gauge meters flow. The needle valve flow control provides for precise measurement. The solenoid valve comes with a 1.5 meter power cord.